I like your website so now I’m following you. 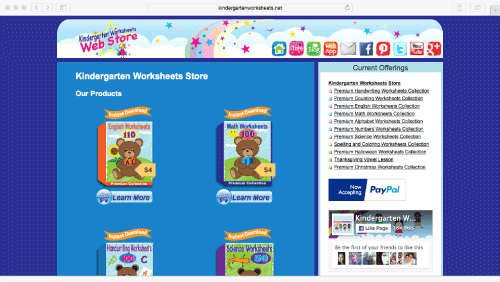 I usually download worksheets for kids. Great to see that you’re accepting paypal here at Kindergarten Worksheets. Paypal is by far the most popular online payment terminal and I noticed a lot of offline businesses using it too. Their fees are quite fair and transparent. Congrats on the switch.